Ancient Egypt, Rome and Greece: Win a Free Copy of Cleopatra's Moon! Win a Free Copy of Cleopatra's Moon! That's not so bad, is it? Of course, if you already follow my blog, etc., just mention it in your comment. Contest ends July 31st. email address: amaliatdillin (at) gmail (dot) com. Let me be the first to ask: Does the prize copy include your autograph? Please enter my name into the contest pool -- Thanks! I promise, if I win, I will donate it to my local school. AND I will buy a copy for me! Tada! Two for one! So excited about this book! ps: i retweeted and reposted and yeah, I follow you like a STALKER. I'm excited about your newest book. I bought 2 of your earlier works for my grandson and you were kind enough to autograph them! I plan to retrieve them long enough to enjoy them myself, but I want a copy of Cleopatra's Moon for myself!! I follow you avidly on facebook (and I met your brother....does that give me bonus points?) Best Wishes on your launch!! I follow your blog and would really like to read this one. Also sent you a request on fb. 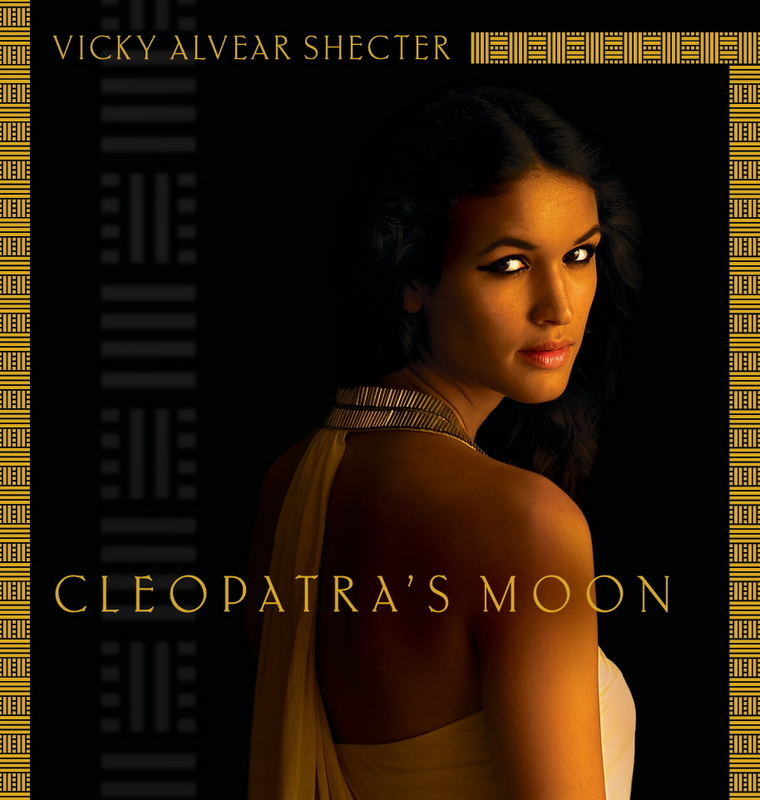 Cleopatra's Moon, your newest book, sounds like one that will be a compelling read. I'd like to have it. I enjoyed reading your first book about Alexander. My e-mail address is patcruzan@aol.com. Hi Vicky! I'd like to be in the running too! I mentioned your book and blog in a post last week - I recapped some of the more popular posts at 3PP, revealing that among the interviews, yours was the most frequently visited! Looking forward to Cleopatra's Moon! Heck, yeahs, I have to have this book! Of course, if I win, I'll give it away, too...and give tons of chocolate to little kids and...oh! I'll march for world peace! And as you know, I follow you like a STALKER MORE. It's kinda scary. Yeah! Following your blog, following you on FB and telling y FB family about you! I can not wait to read this book! I know it will be grrreat! I'm telling my fb friends about the contest now! Thanks, y'all! This is gonna be fun! How exciting -- I can't believe how this date crept up! Early congratulations! I'm already a follower of your blog, and I'll tweet about the contest from @syntactics. My email is rachel.stark [at] hotmail [dot] com. Amazon informed me yesterday that my book had shipped. I expect it to be here tomorrow. Yeehaw. I'd love to win this. Thanks for the contest. Your other books are great! Can't wait to see (win) this one. Always glad to discover a new author! I just moved to Louiville and saw your post on the MidSouth listserv. I'm looking forward to following your blog, and telling my friend about your book, though I won't qualify for the contest as I'm still holding out on the tweeting world. Congratulations on the upcoming release! I follow your blog and twitter! Love the info you share! If we don't win a free, signed copy of your book, you know you can count on us to buy one anyway! If I win the book, I will donate it to school library and then buy my personal signed copy at launch! I'm thrilled to see thew coverage your book is getting! Enter me in the contest!